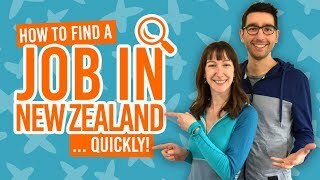 Where to stay in New Zealand’s largest city? And, of course, as the largest city, this means it has a large choice of backpacker hostels. 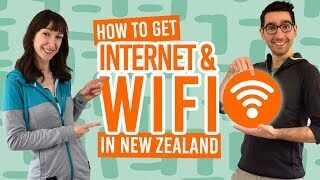 Here at Backpacker Guide NZ, we have done the hard work of separating the hostels not fit for a tramp and the marvelous mansions to rest your head at night – literally, there is a mansion. From city centre convenience to inner suburb hostels with character, you’re bound to find something to fit your needs in Auckland. So here are the backpacker hostels we love the most in the largest city of the country. 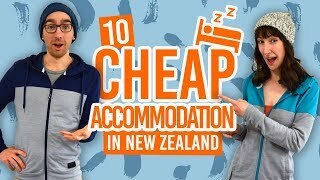 Need some budget activities to go with your budget accommodation in Auckland? Check out: 10 Free or Cheap Things to do in Auckland. Featuring pod beds for ultimate privacy, this brand new Auckland hostel is built around the backpacker. Haka Lodge is refreshingly spacious for a city hostel. However, the secret is out about this accommodation situated on Karangahape Road (K Road) so you’ll want book a little in advance to get a bed! Check Haka Lodge Auckland out! The best hostels are often the hardest to find. Ponsonby Backpackers is well hidden in the heart of Auckland Central’s closest suburb, Ponsonby – just in case the name didn’t make it clear enough. Book early to get a spot! Mt Eden is Auckland’s quietest and most relaxed suburb. This hostel is a large Victorian house only 3km away from the city centre. It’s well worth considering if you are looking for a location away from the hustle and bustle. New on the hostel scene in Auckland is the Metro Adventurer on Hobson Street. It’s so central that you can see the Sky Tower from many of the room windows! Relax in the newly kitted out lounge or large kitchen. Give it a go: Auckland’s newest hostel. Another hostel in the quiet Mt Eden area, this backpackers is built in a large colonial mansion. With activities almost every night, it is a true home away from home. With a rooftop spa, sundeck and hundreds of beds, this huge hostel chain is a great alternative to get a night in Auckland and some fun along with it. Check Nomads Auckland Backpackers out! Escape to Freemans Bay and get a taste of Auckland history at Verandahs Backpacker Lodge. The two restored colonial houses give you a homely feel making you forget that you are staying in an affordable hostel! Crank up the BBQ in summer or relax in the two living areas. This small hostel in one of Auckland’s most popular inner-suburbs is well worth considering. Brown Kiwi is based in Ponsonby and is close to all the essentials – motorways, buses, city centre, cafes, banks and supermarkets. Enjoy free unlimited internet, a secret sunny garden, farmhouse kitchen and free parking! Check The Brown Kiwi out! Socialites who want to be in the centre of it all, Base Auckland is the perfect option. With a rooftop bar, Hello Sunshine, at the top of the hostel and a partner bar, Habana Joes, at the bottom, you’ll always be close to the party! Well-hidden inside a long corridor, up an old lift, behind a locked door and whatever else, this jewel in Auckland Central is often fully booked. Again, make sure to book early. Located mere minutes away from the Sky Tower, this very central independent hostel is quiet and well-equipped.